Brown bears in Ukraine - Welttierschutzgesellschaft e.V. Bear families that vegetate in zoos in far too small cages, young animals that are sold by ruthless breeders to circuses or private citizen, chained bears attacked by hunting dogs for training purposes: The suffering of Ukrainian bears is multifarious, because they can be kept legally, despite the Berne Convention, which prohibits the keeping of brown bears and was signed by the Ukraine. Due to this contradictory legal situation, an estimated 200-400 brown bears are living under cruel conditions. 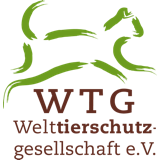 To counter this situation, the Welttierschutzgesellschaft (WTG) is working together with the Ukrainian animal welfare organization ECO-HALYCH. In Ukraine, many brown bears live their live in not species appropriate conditions. 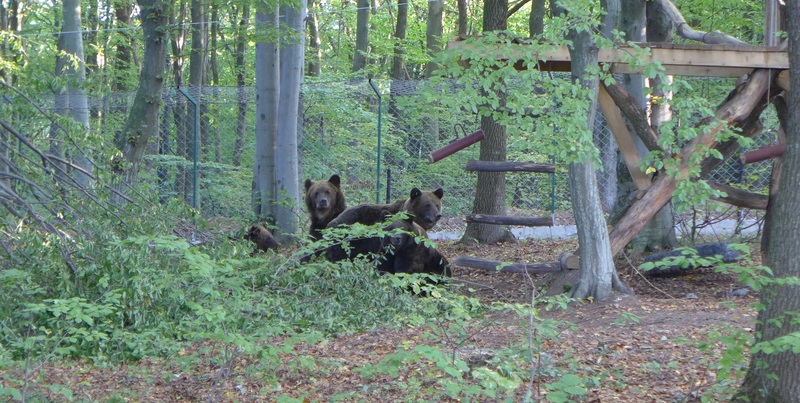 To fundamentally change the situation, the Welttierschutzgesellschaft and the Ukrainian animal welfare organization ECO-HALYCH have expanded an existing shelter in the Haylch National Park. 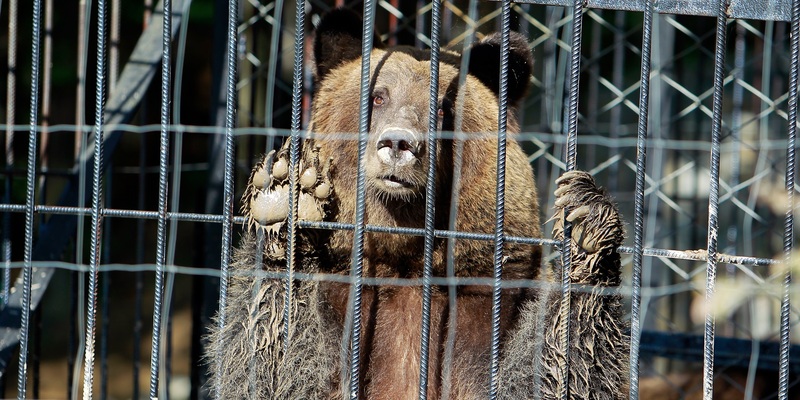 The much-needed enclosure can provide tormented bears with a new home. As a first step, we have built an enclosure together with our partners ECO Halychon the grounds of the Halych National Park in north-western Ukraine. Four, liberated bears from the Kherson Zoo have found a new home in September 2017. On a total area of 1,650 square meters the animals can rediscover their natural instincts and express them in the best possible way. The enclosure includes a 6 x 4-meter pool, a tree house and various other possibilities to play and interact. An example of the inappropriate circumstances under which bears live in Ukraine are the so-called Kherson Bears. The setting is a zoo in the southern city Kherson: In 2014, an animal park was shut down and the animals living there were left to their fate. 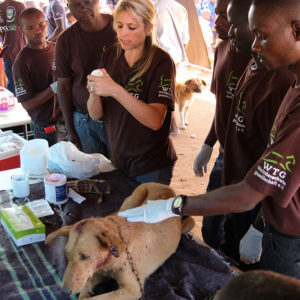 A group of volunteers took care of the animals and saved them from death by starvation. They also made some structural improvements to the bear enclosures. ´However, the bears did not live a bear/species appropriate life there. The much too small enclosure offered them little opportunity to pursue their natural needs. However, our joint work didn't stop there. 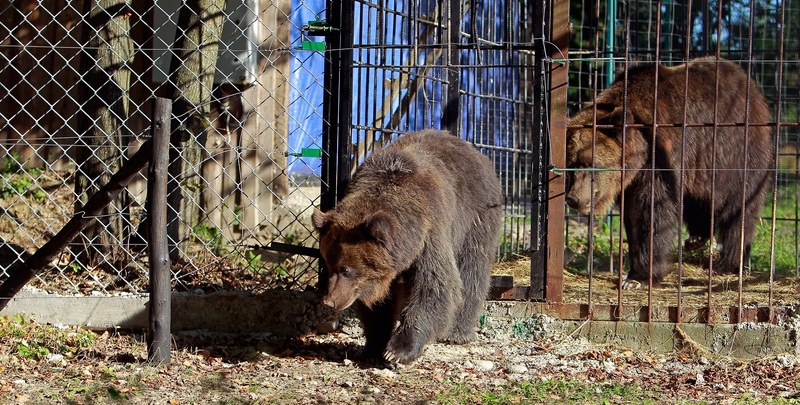 The relocation of the "Kherson Bears" was an important signal for more animal welfare awareness and attention to the brown bear situation in Ukraine. For the time being, it was accepted that the size of the enclosure in the national park only met the minimum standards. To ensure a more animal-appropriate housing of the four brown bears long-term, a second enclosure is being built. It comprises further two hectares and numerous natural activity materials. At the same time, the first enclosure will be improved to suit the brown bears’ needs even better. After completion of the construction work both enclosures will be connected, so that the four bears have plenty of room to express their natural behaviors. Every year, the protection centre of Halych National Park welcomes around 20,000 visitors. An elevated viewing platform will be built so that visitors can observe the animals undisturbed. A large information board directly on the platform will tell the exemplary story of the four "Kherson Bears" and raises awareness of the general situation of brown bears in the Ukraine. 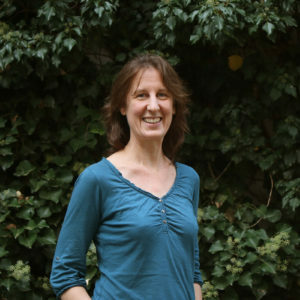 Since 80 percent of the visitors are children, this work can be used to reach the next generation and thus cause a long-term rethinking in the population. In order to attract attention outside of the protection centre, information videos will be produced, which are then broadcast by state television.